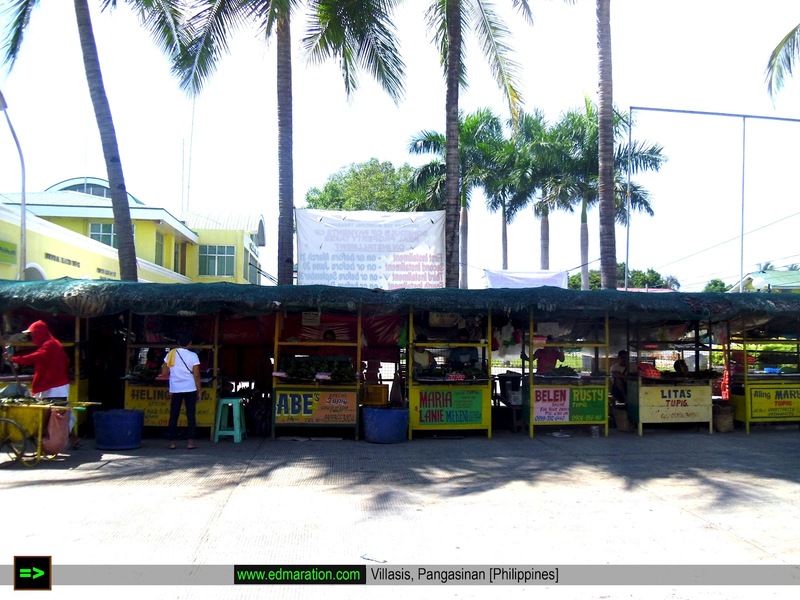 "Villasis is booming, many industries are flourishing, trade and commerce are doing well, but tupig, one little cheap food remains to soar high with pride from the community." I would say that the town of Villasis is a booming due to its strategic location. Little players in the market and business sectors tend to vanish being replaced by bigger investments. 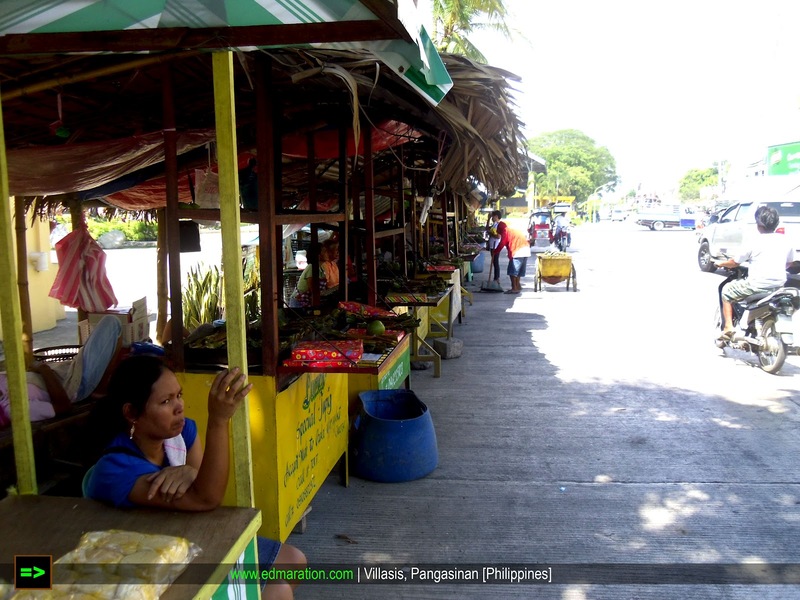 Like Urdaneta City, Villasis in Pangasinan is a town loved by traders. I checked out the Villasis Public Market and Bagsakan Center and it was a busy place. Sacks of agri-products, mangoes, etc were dropped there. 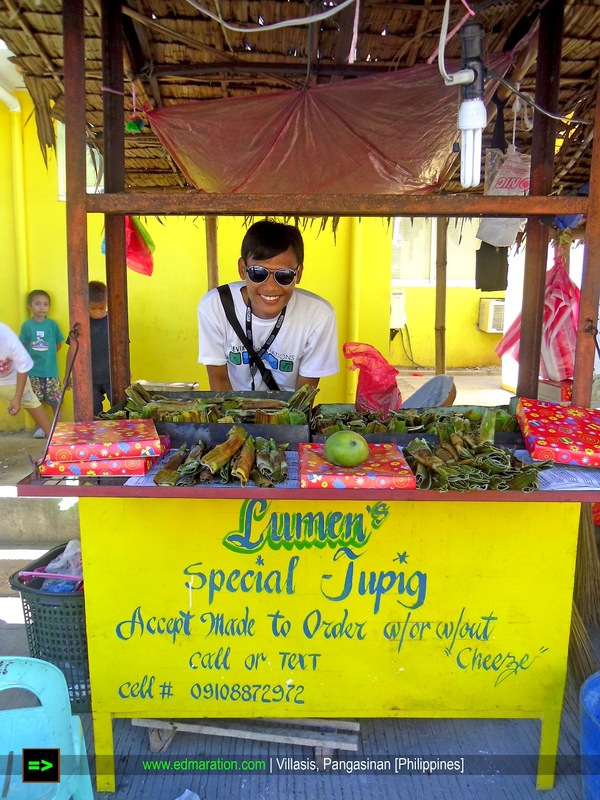 But in spite of big businesses and trades, I noticed a little part of their local economy that has managed to survive - the Tupig vendors and makers! 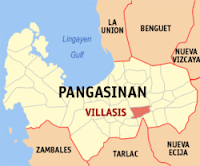 Coming from Urdaneta City, I told the bus driver to drop me at Villasis, Pangasinan. As usual, I always end up walking along the streets of new destinations at high noon and it was undeniably hot. I was dropped at the Bagsakan Center of the town and everyone seemed to be very busy. Since I am rushing to accomplish my 112 on 2012 travel challenge wherein I am set to explore 112 towns and cities this 2012 and create a blog entry about those 112 places, I tried my best to discover what Villasis has to offer. 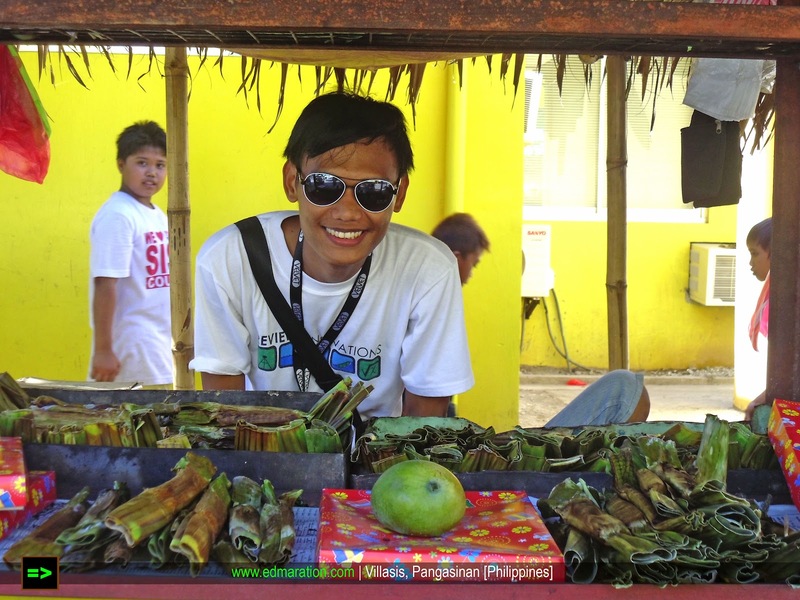 At the side of the market, I noticed an array of stalls usually with yellow color and I approached those. 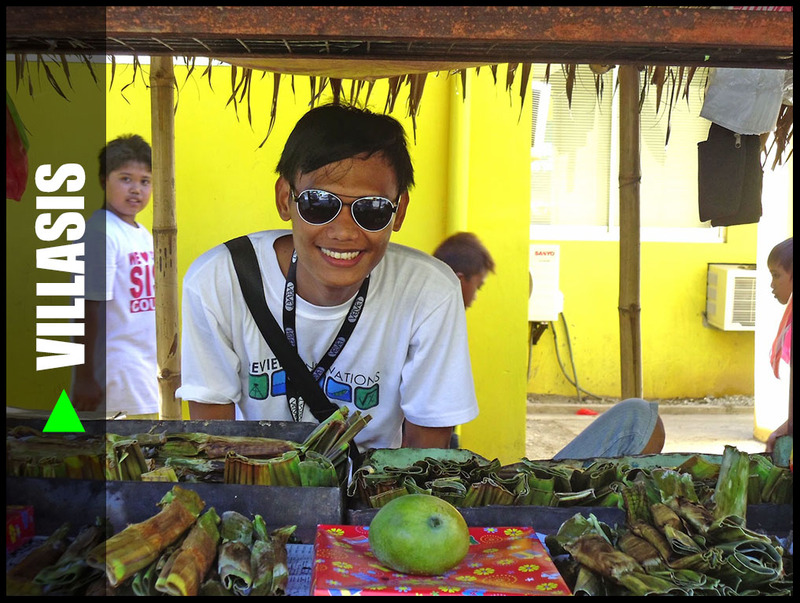 The vendors were waving before me saying, "Dito ka na sir! Bili ka na dito!" I had no idea what they were offering me. So when I finally decided which stall to see, I did not expect that tupig was the star of the day! I really never have thought that tupig could be found in Villasis, Pangasinan too and I was just happy to discover it. It was also interesting that this little business continue to survive and compete in the ever diversifying market. 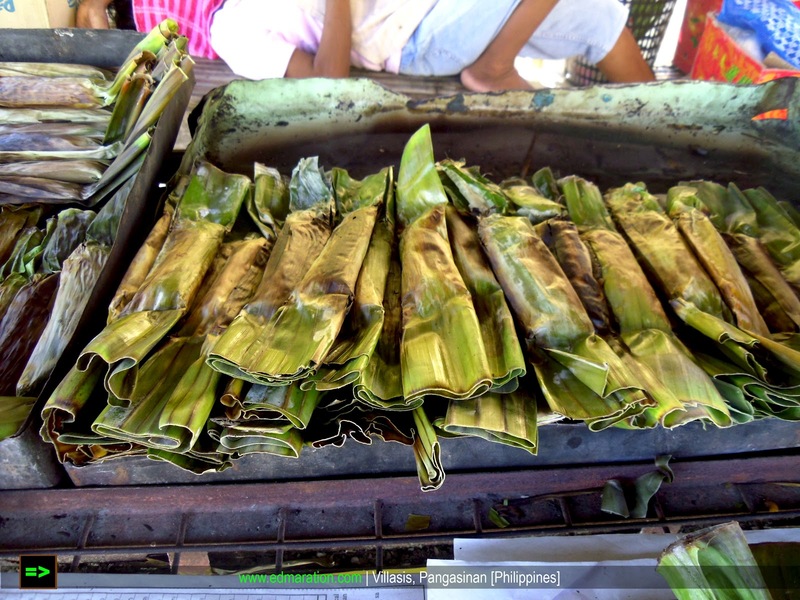 Tupig is made up of glutinous rice and grated coconut wrapped with a banana leaf and then cooked over coal. I have been eating tupig since I was a kid and it is nice to know that tupig is a thriving local product and delicacy in this part of Pangasinan. So the lesson I learned in Villasis is that never underestimate the little things because the role of the small could be as big as you could imagine. Yes, Villasis is booming, many industries are flourishing, trade and commerce are doing well, but tupig, one little cheap food remains to soar high with pride from the community. About the Taste: Tupig is a sweet kakanin, it tastes like a bibingka with smoother texture and that the coconut-ish taste is prominent. It is common in the Ilocos Region and to Ilocano-speaking provinces like Tarlac and Nueva Vizcaya. Tupig is popular in those parts of Pangasinan. Madami tinderong naakyat sa mga bus sa Villasis and Carmen, Rosales. dami nito sa pangasinan and even tarlac, nagkalat sa daan. my husband is from pangasinan so sawa ko dito, not fan of this food pero masarap naman. btw, i like you 112 challenge. good luck! Mica, waaahh talaga? Ang sarap bumili dun! I'm an avid fan of Filipino food, never tried Tupig, napa Google tuloy ako. Thanks for sharing Edmaration! I love Pinoy Foods and I never heard about Tupig. What can you say about the taste of Tupig? Hi Joe, sorry for that haha.. I forgot to include some reviews, hahaa. Dahil nasabi mo yan. I agree kailian, hahaha!